He’s one of our Stand by Me kids. He lives in Bekoji in Ethiopia and is a happy bright boy, but things weren’t always this way. When he was just three years old he lost both his parents and was taken in and cared for by a kind neighbour. Living in a mud hut, caring for Zegeye and three other children was tough for the neighbour as her income was not enough to feed her family. Zegeye became a shepherd boy to help earn some money and walked for miles each day, barefoot with his feet often cut and bruised. His story is common in Ethiopia as parents are dependent on their children to raise income, often through manual labour. Their children’s time is considered too valuable to be spent at school. To help reduce the reliance on child labour we launched our Family Support programme and are now supporting parents of children like Zegeye with grants, business initiatives, rent support and livestock. It’s been a great success - the parents are becoming more self sufficient, the dependence on child labour is reducing and our children are gaining a full time education. Zegeye is no longer working and is now a student at our Bethany School where he receives a great education, breakfast, lunch, health care and a new school uniform. 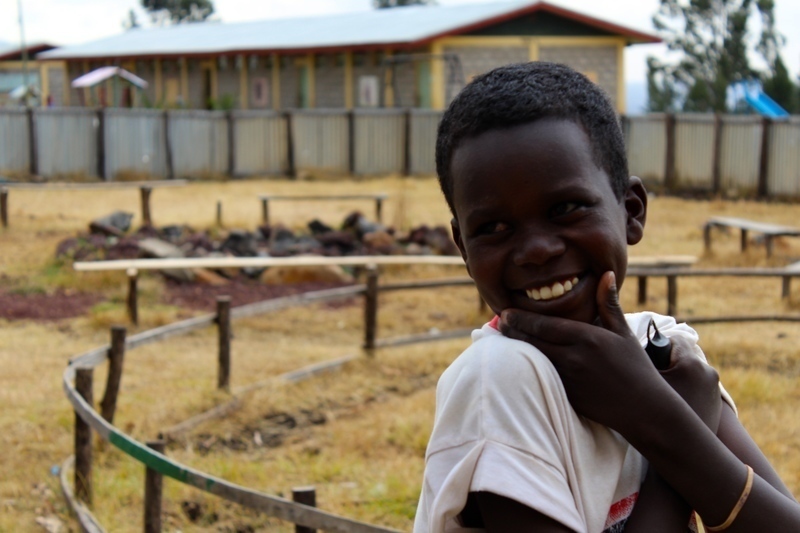 Zegeye was also living with HIV - another obstacle in the way of his future and education. Like many others with life threatening illnesses, he was living without access to healthcare or adequate food and becoming too sick to attend school. We realised that providing an education for children who were dying from HIV was not enough and that we needed to do something. With the help of medical teams from the UK, we started a medical programme for our children and their parents to receive treatment, counselling and regular nourishing food. We are giving our children everything they need to fight infections, cope with their medication and attend school regularly. In 2014 we welcomed Zegeye into our Bekoji Children’s Village as his neighbour felt that with us, he would receive the best care possible in a strong family environment. He’s now living with his new family of 20 orphaned and abandoned children, receiving the 24 hour loving care and attention he needs to thrive. Zegeye’s personal circumstances meant that he needed care unique to his situation – this child-centred care is at the heart of what we do as we recognise that every child is individual and so are their needs. Through caring relationships with his house parents and teachers, Zegeye experiences God's love, giving him a reason for hope. Today he is happy and healthy, and his future aspiration is to become a doctor so that he can help others in need.